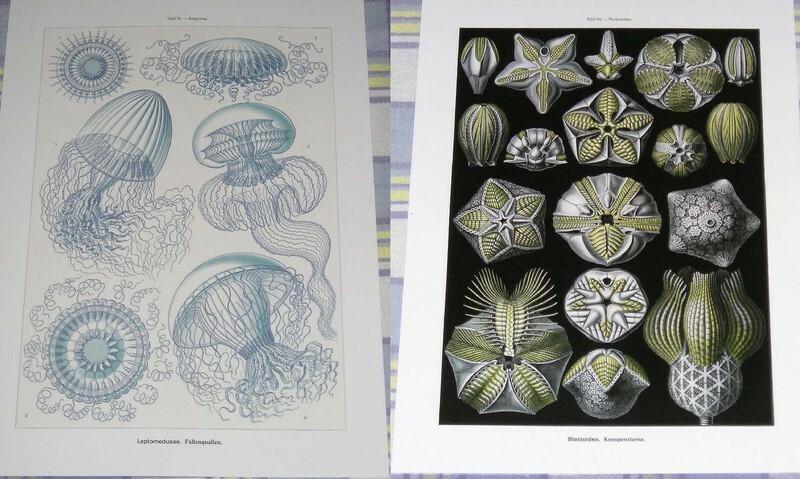 Here are the ocean life prints I got for the Hemingway room. 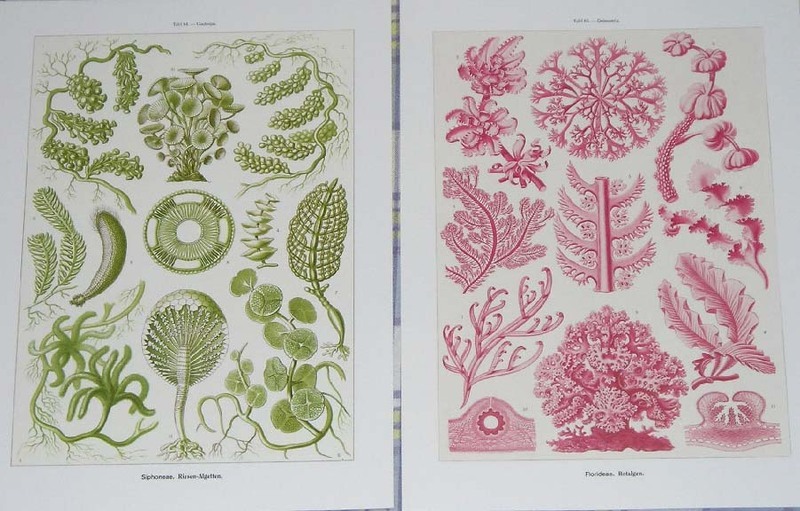 They are vintage Ernest Haeckel color plates and I only now realized how disparate the colors are; I hope they will still work together. Let's wait for Anna to wake up to tell us what kind of frames to use. I have absolutely no idea! Anyone have a suggestion? We are at a standstill with the Hemingway room while we wait to find the proper coffee table, rug, end tables and lamps, clean the fireplace, get lightswitch plates, frame artwork etc. We will revisit it as new finds are added. Here, you see it after the mold remediation, where they had to remove the entire wall, replace the beams and drywall it again. 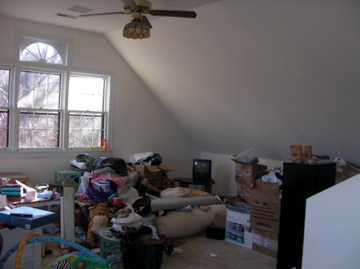 The chimney runs behind the wall and there was a long-standing leak that caused the mold. 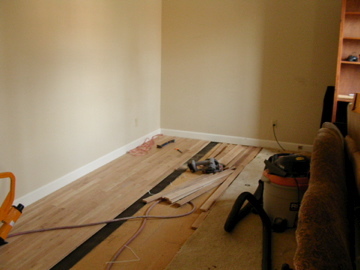 We were also moving from room to room as the hardwood floors were laid, which is why there is stuff everywhere. I'm not going to sugarcoat it, though, because I want everyone to see the true before and after. 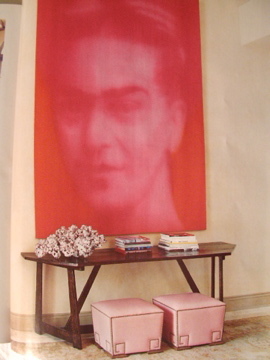 Perhaps you remember my pink desk, which will be the focal point of my Studio. Me: Pink?! I can see a pink desk, but a whole ROOM? A: It will look absolutely stunning when it's finished. A: Go look here and you will see what I'm talking about. A little less purply pink, though. If you think it's too much we can do something else. I thought about this for a minute, but only that long. I am here to get guidance from Anna and I want to be brave as well. I think it's also more interesting to watch the process when I take some risks, don't you? Me: (Still) Pink?! Just double checking! A: Take the paint color of your desk and have them do a fifty percent and twenty-five percent formulation. They will add white paint to dilute the color you have to the proper percentage. Then paint the samples on the wall to see which you like best. 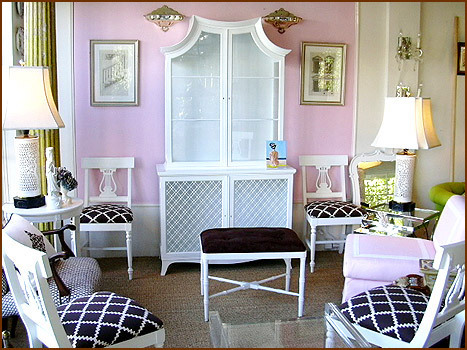 We'll put a darling cushion on your desk chair, beautiful lamps and art and it will be gorgeous! 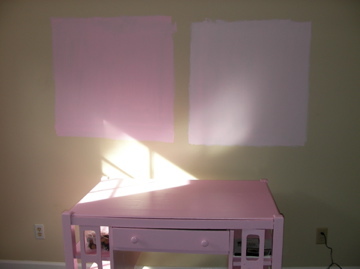 The pink desk against the pink wall will be just fab, you'll see. Anna, I just KNOW it's perfect! I am rushing off to work now and my camera won't connect to do the post I wanted to on the Hemingway Room. Therefore, let's throw in a bit more communication between designer and designee. Anna, this is an oil painting that I really love. 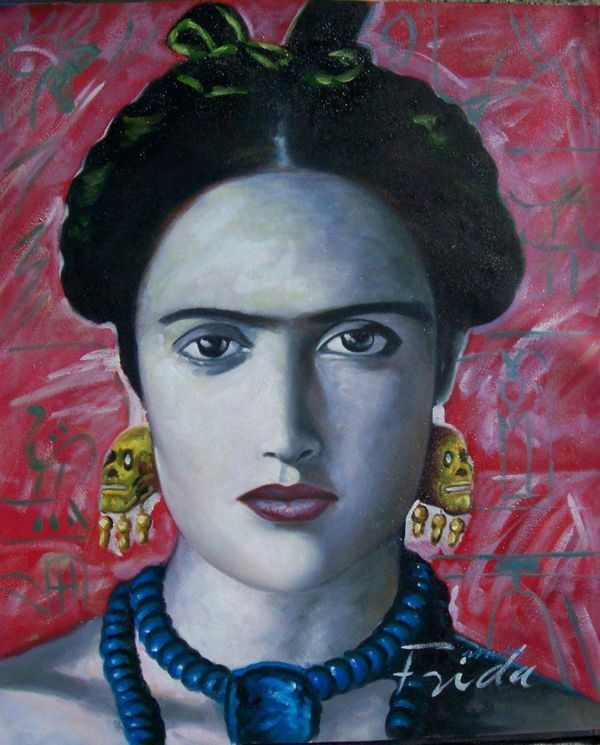 I got it for $10 on Ebay, a reproduction of one of Frida's self portraits. 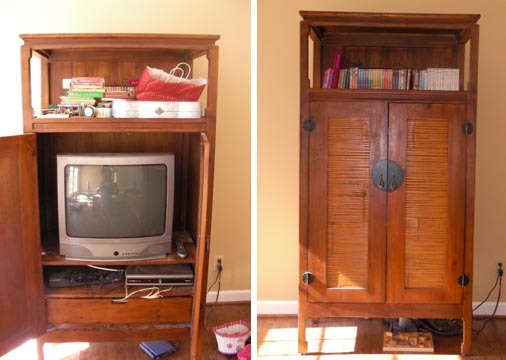 I hope you can help me fit it into the Hemingway room! It's just the right balance of quirk and art that might make me feel more comfortable in the room. What frame do you suggest for it? It's large (20 by 24 inches.) Can we make it fit in? Yes! the answer is supposed to be "Yes!" 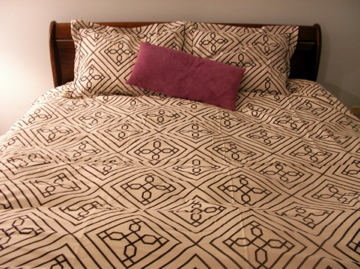 I was in Atlanta this week, NOT looking for a duvet cover. I happened upon the bargain table at Anthropologie, however, and look what was waiting for me. They had just put up a sign that said "40% off lowest price." This was already marked 60% off so I got it for $40-something dollars! 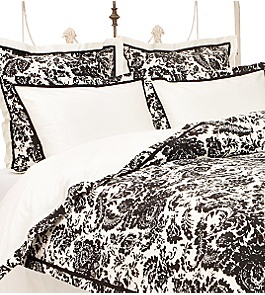 I already have this bedding below but it's nice to have such a lovely backup. Since Anna is actually up at the same time I am, I just sent her an email of this print. Me: What do you think of this in a nice frame for the Hemingway Room? Anna: Oh, I love this print. A definite yes!!! I love the color and how delicate it is. 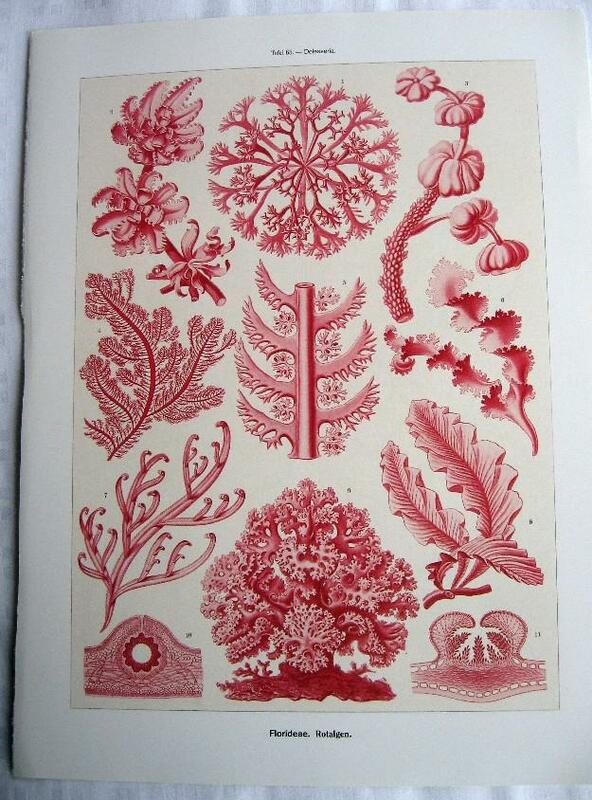 I feel as though coral has been so "done" and it's seaweed's turn in the limelight. Selecting the room color was difficult. I tried out chocolate, taupe, beige, camel, yellow, and just about everything in between. 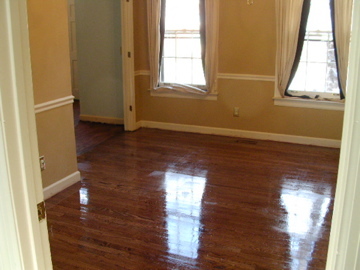 A little tip: Porter Paint makes tiny samples that paint two square feet and only cost about $4. Nicer for the pocketbook and the environment. The paint decision was just before Anna and I linked up but she was pleased with the end result. 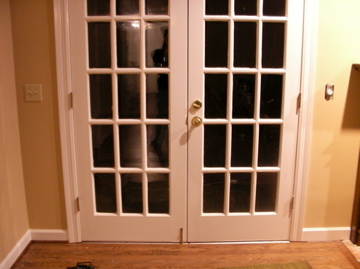 I had Jimmy and Mark do the painting because there is a lot of trim. They charge about $100 per room without the molding, which is quite reasonable. I selected Porter Palomino in eggshell (the sample on the left) and White Umber in gloss for the crown molding. I am amazed at what a difference a coat of white paint on the molding makes. It brightens up the room and looks very clean. This is probably the most understated thing I have ever done and husband really loves it so far. Every monitor looks different but in person this color looks very velvety and rich. I'm getting a stretch of time off in February and I will try and get those bricks scrubbed then. I was in Atlanta over the weekend and got to visit Anthropologie. 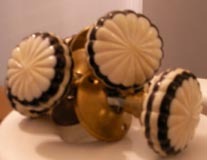 I took a photo of these doorknobs and sent them off to Anna to get her opinion for the Hemingway room's French doors and coat closet. She loved them and I returned the next day to close the deal. I feel that small investments in items such as hardware ($38 per knob so I didn't want to mess it up) are enough so that having Anna ensure that the selection is on track is really worthwhile. My previous mistakes are almost always something like this that I like in concept but looks awful when executed. I love having a designer who gives me ideas and suggestions but also enjoys when I bring ideas to her. Here is the upholstery for our couch. Just prior to meeting Anna we purchased a couch and a matching (yes MATCHING - husband insisted) chair and ottoman from Z-Gallerie. 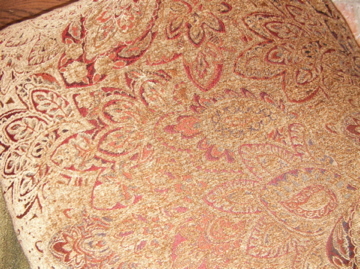 It is a shimmery golden/beige with dark red accents. Very good at hiding baby puke and cat hair. I saw this during my trip to Atlanta and I thought everyone would be proud of me because I walked on by. Calling all suggestions for wall art! A while back at Pink Mohair you guys voted for the color to paint this pile of boardsthat looked ready for the landfill. Glossy pink won out and as soon as Jimmy applies the large clamp to her (sort of like desk chiropracty) she should be right as rain. 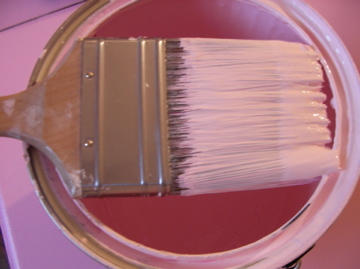 I love fresh paint; it's like Botox for your house. Here, the wood floors are being laid. This was a very labor intensive process for us and the workers. Jimmy and Mark (the handymen extraordinaire) are perfectionists, and the more often I had coffee prepared for them, the more meticulous their work became. They first prepared the floor by vacuumig it and laying a moisture sealer, folowed by the wood, which was tongue and groove. It was then nailed with a pneumatic nailer (GREAT for getting that new baby to sleep a couple of hours at a stretch, highly recommended), sanded, it, stained it, sealed it, sanded again, sealed again. If you are considering prefinished versus unfinished, I urge you to make an informed decision. 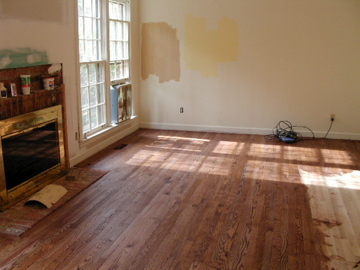 The cost can be similar, but in my opinion (and this is very personal) the unfinished floors look nicer and are more durable. Another advantage is that if you need to sand them again in the future to restain or due to nicks, the pre-finished has a very thin layer of wood on top and cannot be sanded again extensively. I really wanted dark floors but because this white oak was what we could afford (since we were laying about 2200 square feet) this is as dark as we could get it. With oak, there are parts of the grain that pick up the stain well, and parts that seem to repel it so the look is lighter than a wood with a finer grain. According to Jimmy and Mark, they were handing out these prints to everyone who bought over $500 worth of wood. Since I didn't actually LOOK for this, I decided to not to run it past Anna. Besides, the girl won't want me to refuse FREE artwork, right? She probably won't even notice it. Here is a vintage lamp that I just got for my Studio. 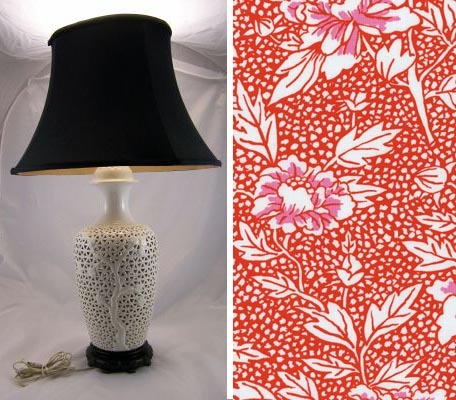 Anna has suggested this gorgeous fabric by Kaffe Fassett for the lampshade. 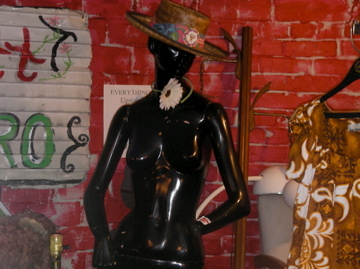 It can be purchased at Purlsoho. We will be jumping around quite a bit with the house. While we are aiming for two posts per week to show the actual progress of a particular room, we will try to post more often with projects, new finds and other various design/decor related topics. You can always find the posts indexed on the right sidebar.